When Shannon finished school he left home with an ambition to learn how to cook. He moved to Noosa on the Sunshine Coast to begin his apprenticeship. Having moved from the country to the beach he immediately fell in love with the surf and the abundance of fresh local produce that was being served in the street. He developed a keen interest in keeping fit and eating lots of fresh food. His interests in healthy eating and nutrition directed him to pursue a career in nutrition. Shannon’s passion is cooking the freshest local ingredients he can source. He goes to the market every week to check for freshness and quality, and only purchases the best. Shannon has completed a degree in Nutrition at the University of Queensland and he is currently the Head Chef at La Linea in Brisbane and the owner of Healthy Dinners Catering and Nutrition in Brisbane. He loves going to the beach with his family and sharing their favorite fresh king snapper from their local seafood shop – a family secret he’s not ready to tell just yet. Shannon was fantastic and the food was exceptional! We were really happy with the night. Shannon arrived on time, was really friendly and professional and was even happy with our guests asking him for cooking tips and questions about what he was doing. Once the dinner started we were never left waiting or without a drink on hand and no-one had to leave the table at all. The dinner was a 7 course Degustation. Every course was beautifully presented and very nicely done. Shannon also catered for one Vegan guest with some creative meals that they were really impressed with as well. We were really impressed and would certainly recommend Shannon and At your Table to our friends. Shannon was very professional and courteous who got down to business immediately on arrival. Unfortunately I was not informed of a last minute change of fish from snapper to barramundi which I could have changed on my printed place card/menus. The waiters were a little slow in keeping drinks full – several times during the evening I had to prompt them which became a little annoying. Clint filled in for Shannon and was excellent. He was on time and the food was excellent with very generous servings. We had a very relaxing evening. Shannon was on time and produced 83 delicious meals to our wedding guests efficiently. We were impressed with the meal ideas Shannon came up with which stuck to our brief perfectly. We had plated mains for each guest and had 5 side dishes served to the middle of each table which allowed people to customise what and how much to eat. It also brought a family sharing and casual feel to dinner, exactly what we wanted. Everyone enjoyed their food and for the first time I didn’t mind which meal of the alternate drop I received, both were amazing! Shannon also catered for complex dietary requirements which was fantastic. A big thank you to Shannon and Ellie, to us good food is an important part of life and we appreciate all the hard work you went through to deliver it. Thanks Shannon and Shelley for a wonderful dinner party. The food was great, the kitchen was left spotless, and our guests had a great time. Shannon was great – he and Shelly our waitress arrive on time and from that moment the evening just went so well – it was wonderful; everyone agreed Shannon’s food presentation and flavours were fabulous. I would recommend Ellie and the team to anyone. We will be inviting Shannon & ‘At Your Table’ back to our dinner party again soon. We had a great experience with our chef and waitress from at your table. Thankyou. Brilliant food. All guests enjoyed and complemented on the quality, presentation and of course the taste of each meal. This was a trial for our wedding which I’m so looking forward to! Shannon was friendly and efficient. The meals he prepared were lovely and we had good feeback from everyone. “We had a fantastic dinner on Saturday night with Chef Shannon and his team. The food was delicious and every plate was emptied, even our fussy 13 year old! “We had a 5 course meal for 17 people. 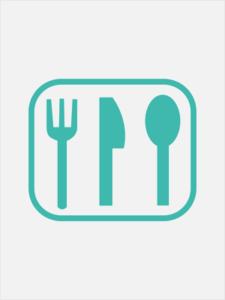 Shannon provided excellent restaurant-quality meals in a timely and professional manner, whilst allowing for food intolerances. Shannon had two waitstaff that did a great job and added to the 5 star restaurant quality feel. The kitchen was left spotless, and a great nice was had. We had a fantastic dinner on Sat with Chef Shannon and his team. The food was delicious and every plate was emptied, even our fussy 13 year old! The team left everything in the kitchen spotless. Jill was very impressed. I have been plugging ‘At your Table’ with my work colleagues as the way to organize a dinner party! It all went exceptionally well, the food and service was great and really added to the occasion. Please thank Shannon and his staff again for us, particularly Shelley who worked really hard and was so helpful and pleasant to all of our guests. We finished up around 2am, so yesterday was a bit slow around here! Thanks again for all of your help with making the arrangements for the dinner, and no doubt we will be using AYT again for our next celebration (likely to be a lot smaller crowd!). 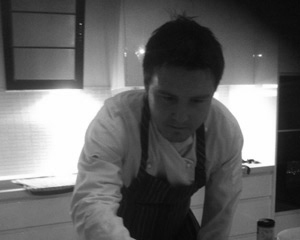 We had a fabulous dinner party for 8 last Saturday with Chef Shannon in Brisbane. The food was amazing, we were all blown away by the quality and presentation. The service was lovely and our kitchen was left spotless. I am dying to book another evening,. The best night out I ever had at home! We all had a great time on Saturday night. Shannon and his waitress were great. The food was beautiful. Thank you all so much for making Mum’s 60th birthday so special. It was so nice to have a function were I didn’t have to be in the kitchen for 90% of the time. The kitchen was also left so clean. It was great. Thanks again to Shannon and his team as well as yourself for organise and allowing our evening to run so smoothly.